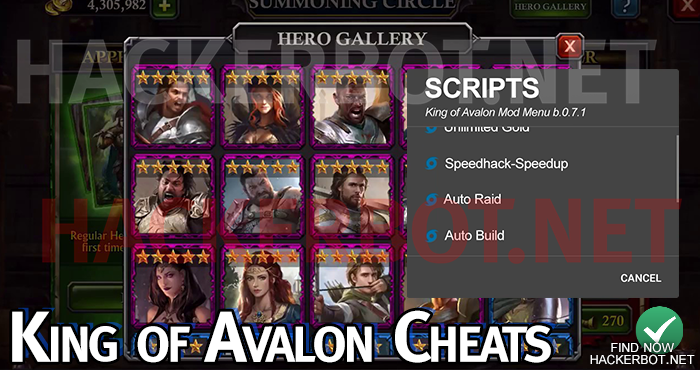 Is it possible to cheat in King of Avalon: Dragon Warfare? Yes indeed. The best and most popular cheating methods used in automation through “bots” that can automatically play the game for you, upgrade buildings, manage resouces, farm monsters, raid other players cities, shield and so on. There are also hacks in the form of modded game files that allow for other minor cheats to be activated. Unlimited Gold and Resources hacks for King of Avalon do sadly not exist however, since this is an online game and this information is processed on the servers belonging to DIANDIAN, the developers of the game that cannot be hacked using any means. Hacking is usually being done one of 2 ways: Either one uses a memory editor app for iOS or Android to manually change the game app on one’s mobile device or one uses a hacked game file (modded APK / IPA) to run a modified version of the game that automatically enables certain cheating options, such as auto reward collection, auto shielding, auto upgrade buildings, auto research and so on. 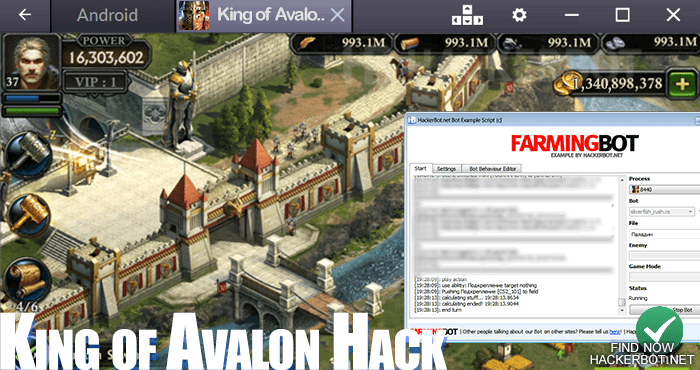 However, Dragon Warfare Hacks are not nearly as powerful as playing automation software, since this game is a mostly online game that does process all the important player data, such as your Gold, XP, VIP account, resources and so on on the game servers that are not influenced by and tools, hacks or generators, no matter what random people on the internet may claim. For the best apps for hacking games on your Android device manually without having to find shady and potentially infected hacked APKs, go here to find the best memory editors for your mobile games. A bot app can automatically play the game for you to automatically farm monsters, resources, upgrade your base, level up dragons, auto research auto raid and so on. Bots will either do this by sending data directly to the Dragon Warfare servers or by actually starting up the game on your iOS/Android/Emulator and play it manually be generating user input, tapping and so on. While bots will not give you unlimited Gold or XP, they will be able to farm the game essentially forever without you having to move a finger. 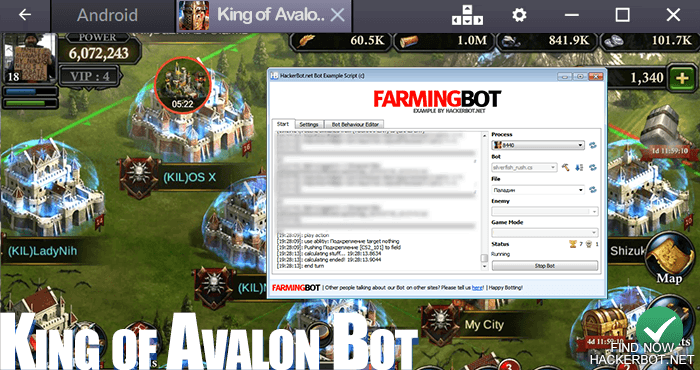 A good King of Avalon Bot will be able to manage your account, auto upgrade resources and continuously upgrade your stronghold for weeks or even months without any input as long as the script client has a connection to the internet and the software stays up to date. Bots are undetectable, but if you farm the game 24/7 and are constantly online, it may trigger some flags, but still bans are incredibly unlikely. Bots are used by top KoA players to automate simple tasks, such as farming alliance credits, raiding monsters, managing resources and auto saving. Are Infinite Gold Generators and Free Bundles / Packs and free VIP account legit/real? No they are not legit. As already pointed out, all your important account data is stored on the DIANDIAN servers that you have no writing access to. So the only way for you to change your Gold, Resources, VIPAccount and so on is by knowing a game Admin or developer and getting them to long into the server and change your stuff in the database. – While this is incredibly unlikely to ever happen, you can always try staling I guess. (Please don’t, I’m kidding.) So don’t trust the people that offer impossible generators for free stuff to download. Cheating in any game, including online mobile games is completely legal everywhere. I would not brag about using hacks in KoA:DW, since people won’t love you for it, but the worst thing that will happen in them raging. Theoretically the developers do have the right to ban anyone from their games and services, but so far on mobile games people are more likely to get banned for trading accounts than cheating. However, it is still possible to get an account banned.